Serial killers seem to be a popular topic in the media, whether it is in the form of Hollywood’s slasher films or prime time news specials. Audiences always seem to be fascinated by these figures to some degree, regardless of whether the madman in question is real or not. Today’s review, Henry: Portrait of a Serial Killer, will take a different route into the world of serial killer films, looking at this sub-genre under an uncommon light. Henry was completed in 1986, but didn’t receive a theatrical release until 1990, due to the movie ratings board’s issues with the film’s gory content. The film was directed and co-written by John McNaughton, who also worked on Mad Dog & Glory and Wild Things. The other co-writer, Richard Fire, worked on the screenplay for The Borrower and Bleacher Bums. Henry: Portrait of a Serial Killer follows the titular Henry, a seemingly average if not a bit emotionally-detached man living out his normal days in Chicago. Henry shares an apartment with Otis, a man he became acquainted with while in prison and Otis’s sister Becky, who moves in with the duo following her divorce, with hopes to start a new life in the city. Although Becky is largely unaware of the atrocities Henry commits, she grows intrigued by him, particularly after the two discuss the grim details of their lives while growing up, with Henry mentioning that he killed his mother when he was younger. Later, during a night on the town, Henry hires two prostitutes who service him in the back seat of his car before he proceeds to snap their necks with Otis watching. Although surprised at first, Otis finds himself fascinated by Henry’s ways, and the two commence a string of murders about the city, as Henry teaches Otis about the fine art of killing. The content of Henry is loosely based on the exploits of real-life serial killer Henry Lee Lucas, who was convicted for 11 murders in the late 1990’s (though he claimed that he committed over 600 murders). The tidbit about Henry’s abusive mother mentioned in the film was apparently true to the real Henry Lee Lucas but the film does not make any other specific reference to Henry Lee Lucas’s life outside of this example. Additionally, the characters of Otis and Becky also have real-life counterparts. 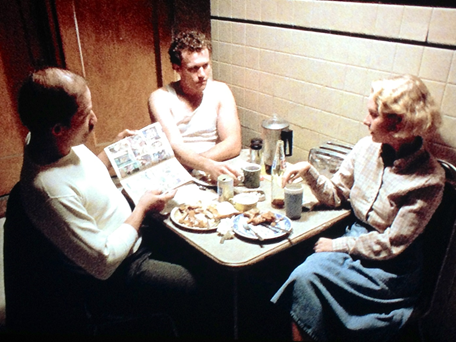 Ottis Toole, the basis for Otis, was a drifter and prostitute who was in a homosexual relationship with Henry Lee Lucas, which the film omits entirely. Becky was based on Toole’s 12-year-old niece whom Lucas consummated a relationship with, another aspect that was heavily altered in the film. Henry manages to portray a disturbingly raw story that hits a little too close to home for comfort. 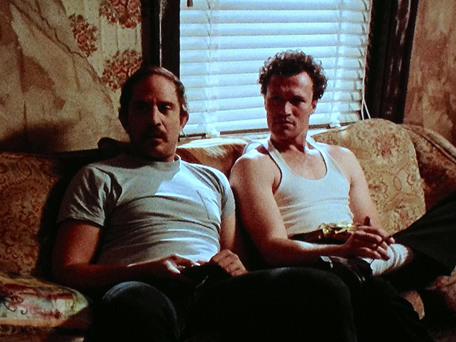 At first, the film paints a darkly comedic tone, exemplified when Otis and Henry decide to snack on some fries after Henry kills two prostitutes, as well as the scene in which they murder a television seller, which plays out in a “that escalated quickly” manner. Gradually, however, the film begins to show Henry and Otis in a more terrifying light, culminating in a poignant scene in which the duo record themselves slaughtering an entire family and watching the video later. As mentioned before, although the film was only based on Henry Lee Lucas’s murder claims, it portrays his actions in such a down-to-Earth manner that it feels realistic. Henry‘s visual style manages to complement its plot very well; although the movie ran off a rather low budget, it still manages to establish a striking, yet simplistic environment. The most prominent example of this would be the scenes that portray Henry’s victims, using still shots and slow pans over the victim’s corpse overlaid with audio of their screams. Although utilizing these sorts of shots seems to be part of the restricted budget, the minimalistic approach allows viewers to fill in the blanks themselves. Additionally, many scenes in the movie where filmed in the busy Chicago streets, without the use of extras, adding an extra layer of realism to the setting. Pros: Portrays the serial killer aspect in down-to-Earth, terrifying realism rather than a glorified over the top method that makes viewers cheer for the villain. Visual style complements the material, and sets up the atmosphere. Michael Rooker’s detached and disturbed portrayal of Henry is extremely well done and memorable. Cons: The actors portraying Otis and Becky can be somewhat stiff at times. Cheesy 80’s synthesized background music can jar the viewer out of the moment. The Blu-Ray version has some annoying letter-boxing. 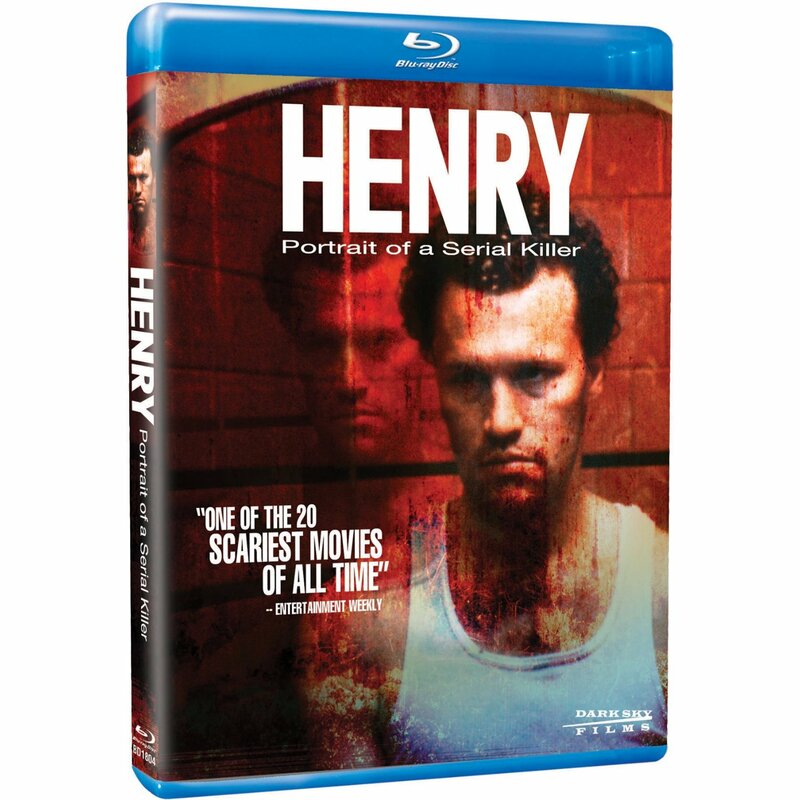 Henry: Portrait of a Serial Killer is available on Blu-Ray* by Dark Sky Films. Henry is as fascinating as it is disturbing, and doesn’t hesitate to show the grimmest side of a serial murderer. If you don’t mind some gore and violence, Henry is an interesting thriller that will likely stay in your mind for quite a while. *Editor’s Note: The entire reason the screen caps all look like awful phone shots off a T.V. screen.